Here at Lloyd Morris Electrical we have a stringent Health and Safety Policy, to read the policy in full please refer to the PDFs below. 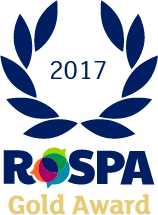 We are also OHSAS 18001:2007 certified and we have received a RoSPA Award for occupational Health and Safety. As part of our ongoing commitment to Health and Safety we also have a UVDB Verify certificate.